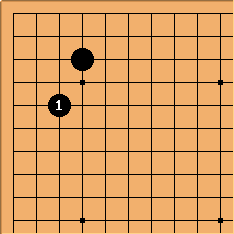 I believe it is "well known" among amateurs that there are no particularly effective follow-up moves in the corner after one starts with a play at hoshi. 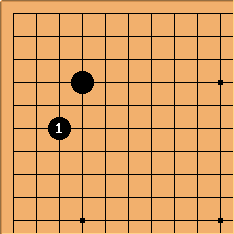 This is what most joseki books tell us. Nevertheless playing a small knight or large knight extension from a hoshi stone seems to be becoming somewhat popular in recent professional play. I wanted to investigate whether this has led to favorable results. As usual I turned to GoGoD CD and Kombilo. The results were very surprising! 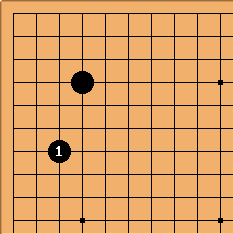 Note that the search space includes empty adjacent star points so this excludes situations where the player has already extended to the middle of the board (e.g. a san-ren-sei pattern). adamzero: In my own games, I've noticed that the low enclosure from the 4-4 points works particularly nicely. I like to play fairly profit-oriented game, making strong groups from which I can attack or invade without fear. Often my opponent builds moyo that I have to invade, but because this happens so frequently invading has become one of the better parts of my game. The low enclosure from the hoshi works well for me because it threatens to grab very large profit, inviting my opponent to challenge, and I can then attack strongly. I particularly like playing it when it leaves the open side of the hoshi stone facing my own thickness. I've had good results with this. I don't like the large low enclosure because it seems to invite the 3-3 invasion, and I'm rarely satisfied with the result. And when I'm playing against it I immediately start trying to figure out the appropriate timing for the invasion, and having played it I am usually pleased with my gains.